The City of Long Beach is offering a limited amount of rebates and free permits to home owners when you install new, energy-efficient replacement windows. If you live in Long Beach, California and you're thinking of replacing your old, ugly, energy-wasting windows, there's never been a better time to do it. As part of its Residential Energy Efficiency Rebate Program, the City of Long Beach is offering rebates of up to $500 when you install new, new Energy Star replacement windows in your home. But the good news doesn't stop there. As part of the program, you can also get a free city permit for the work. That's an additional savings of $146. Of course, you will also enjoy saving money on air conditioning in the summer and heating in the winter with your new, energy-efficient replacement windows. 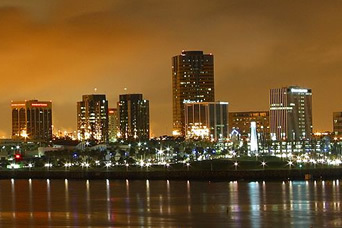 The City of Long Beach launched the replacement window rebate program in April of 2010 and it expires in October of 2012 or when all the rebate funds run out. The rebates and free permits are offered on a first-come, first-served basis, so it's in your best interest to get the process started now. The first step in taking advantage of the rebate is to get an estimate and we've made it easy for you. Just fill out the form below to receive a free quote from a licensed Long Beach replacement window contractor and get on the road to savings.